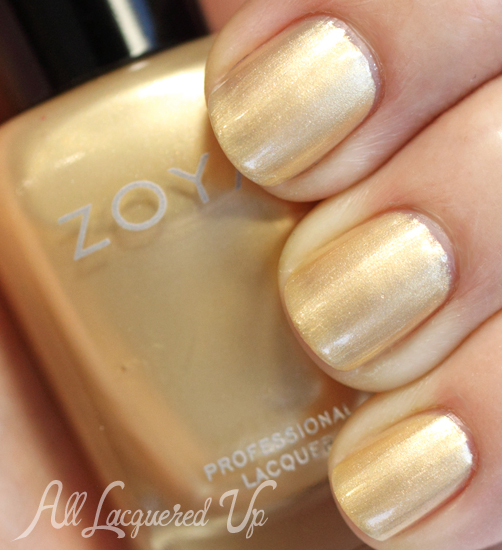 ZOYA – Entice Collection, Swatches and Review. 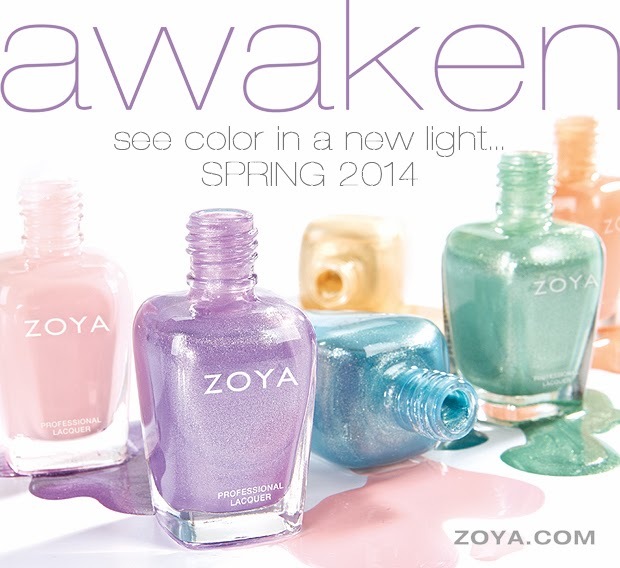 This year ZOYA came out with two wonderful collections for fall, Entice and Ignite. Both collections are stunning, one consists of cremes and the other one of shimmers. Today I have for you the fabulous cremes from the Entice collection. Nyssa, this is a beautiful milk chocolate brown creme, it applied smoothly and was opaque in two coats. Claire, a brownish red creme. This is two coats. Margo, a beautiful plum creme, opaque in two easy coats. Veronica, this is a creamy burgundy red. I needed two coats to obtain full opacity. 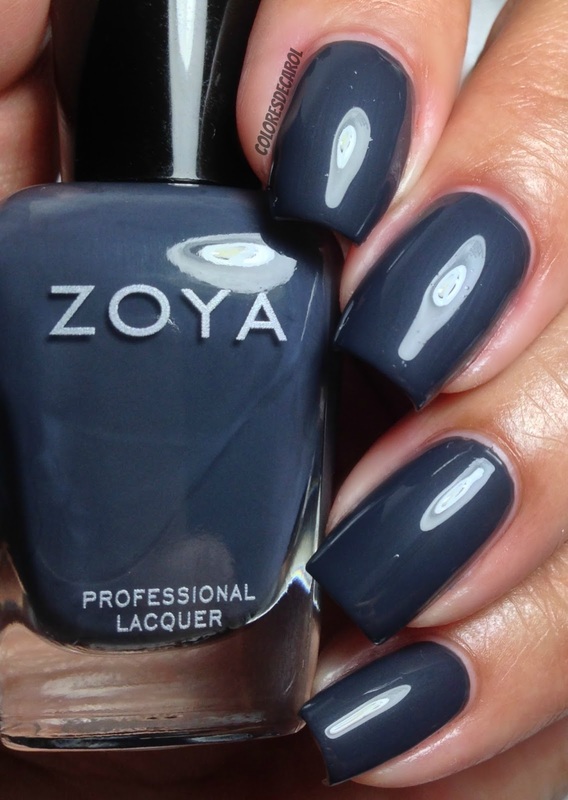 Geneviev, is described as a cool leather grey in the flawless full-coverage cream formula. This has a subtle silver shimmer to it. I did two coats. Ryan, this is a dark indigo blue creme. I did two coats. Beautiful cremes for fall! The formula on these was excellent, the application was flawlessly. I used two coats of each shade for all the swatches. My favorites are Ryan, Margo and Claire. Tomorrow I will be showing you the Ignite collection. 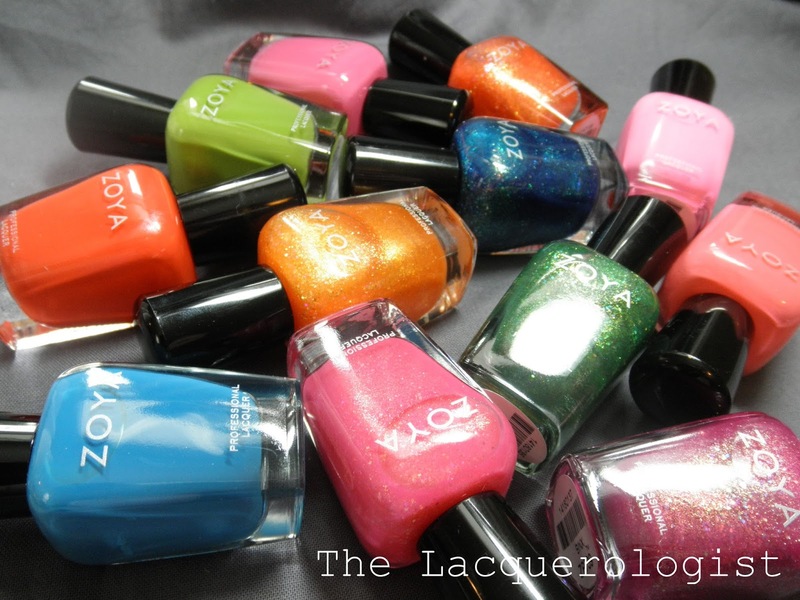 Zoya Tickled & Bubbly Collections for Summer 2014! Hello polished friends! 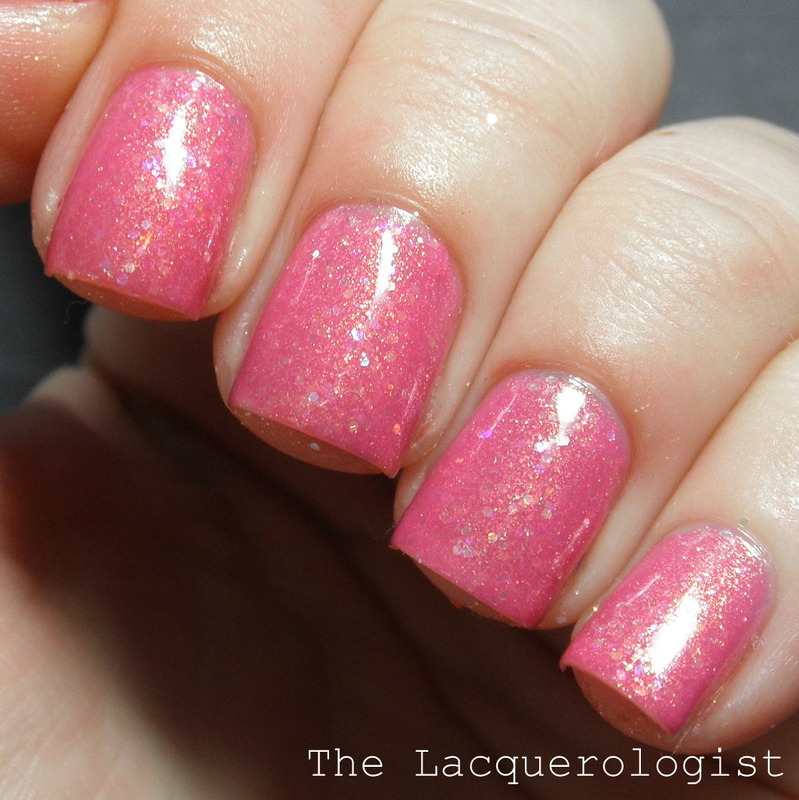 Today I have swatches of the new Zoya Tickled & Bubbly Collections for Summer 2014. As they usually do, Zoya has released two 6-piece sets, one made up of cremes and one featuring six jelly-based glitters with a iridescent flash. 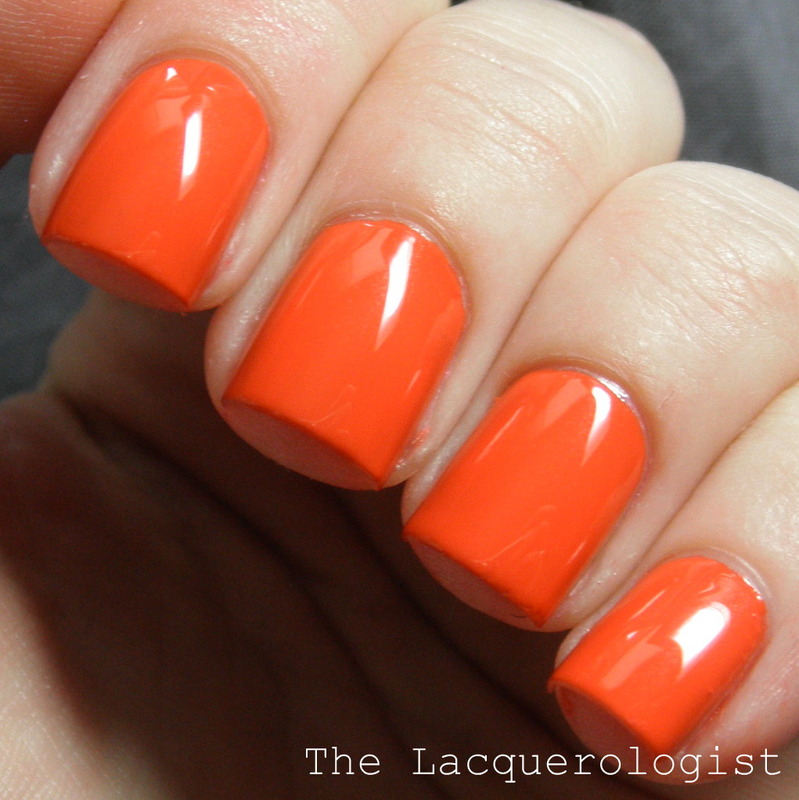 Let’s take a look at these bright, summertime shades! The Zoya Tickled Collection features six creme polishes in bright summery shades. All of these swatches were done with CND Stickey Base Coat and no top coat. 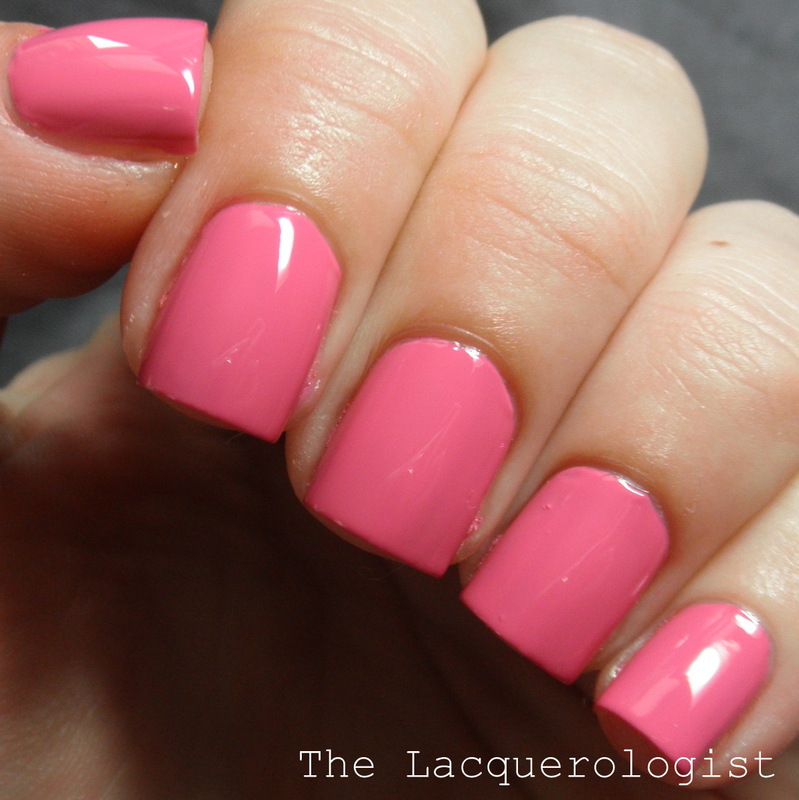 First up is Zoya Kitridge, a light, yet bright, pink creme. In certain lights, it’s nearly neon. Here I used three coats but two coats would be fine with careful application. I experienced a little streaking with two coats. 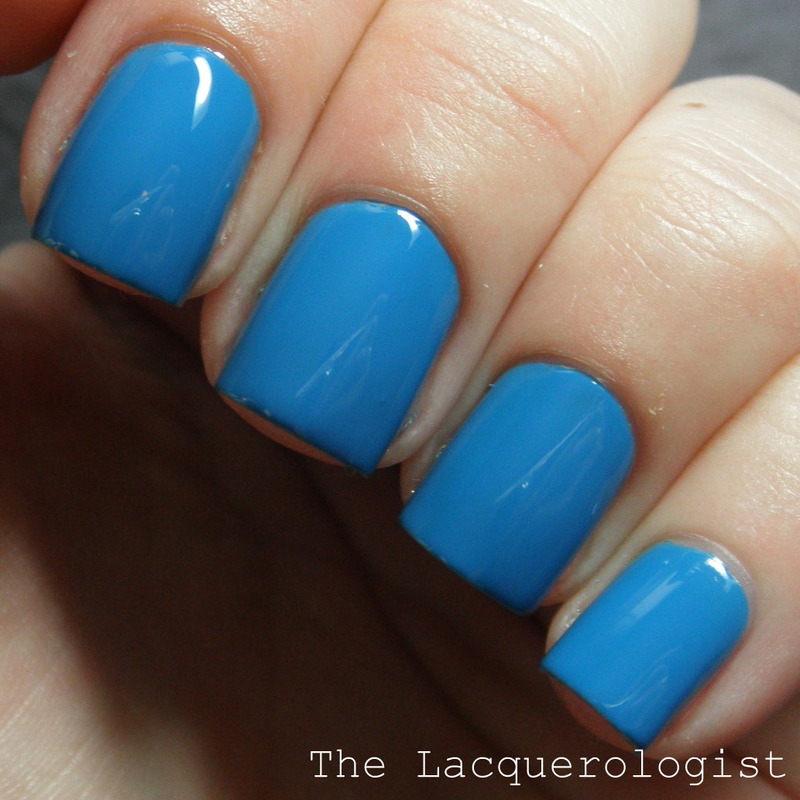 Zoya Ling is a bright blue creme. I love this color. I have plenty of other blue cremes like this in my collection, but the formula on this one made it stand out. This is two easy coats. 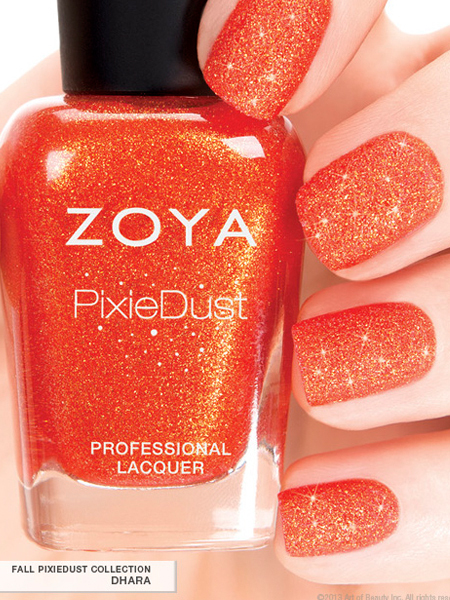 Zoya Rocha is a bright red-hot orange with a shimmer that is visible in the bottle and in direct light on the nail. This is two easy coats. 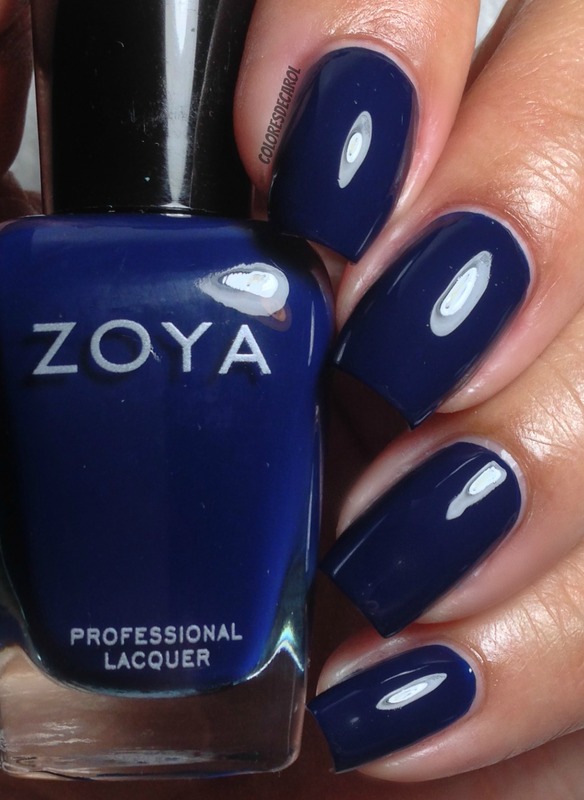 Zoya Rooney is a blue-toned pink creme. Girly and fun. 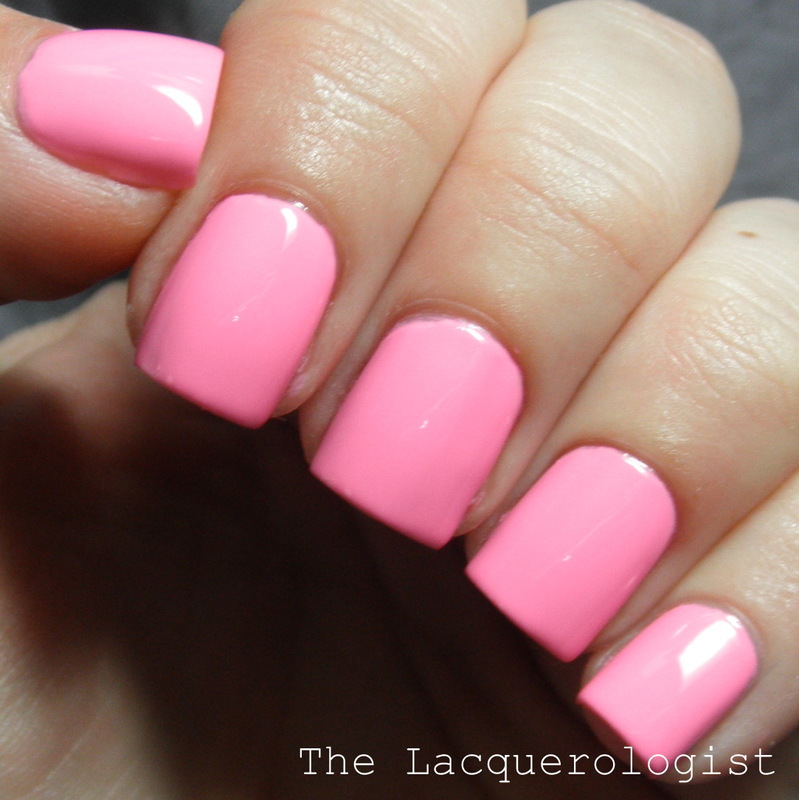 This is two easy coats. 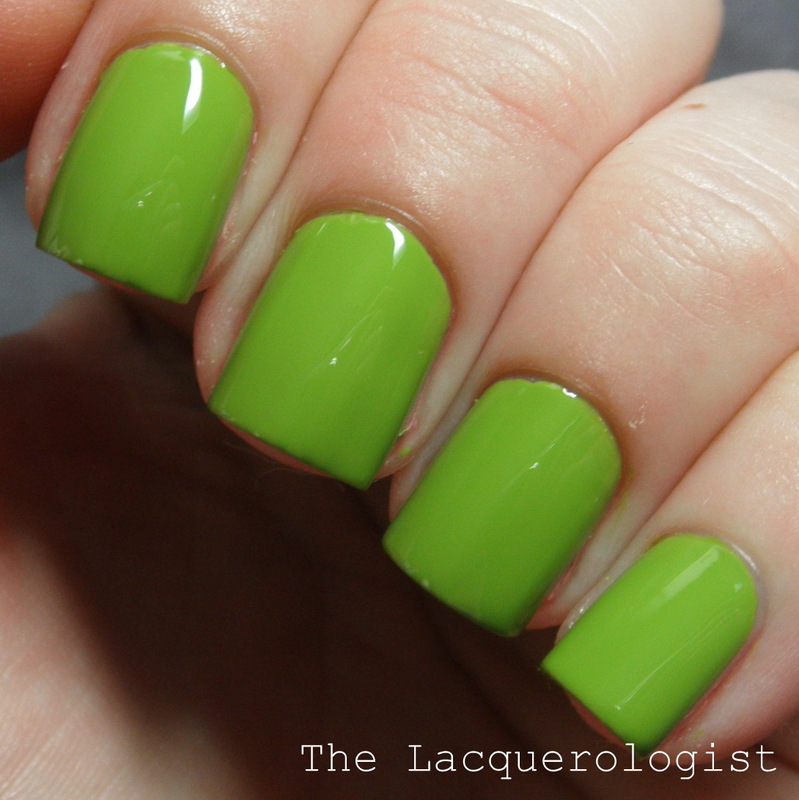 Zoya Tilda is a bright green creme. You know I love green polish! 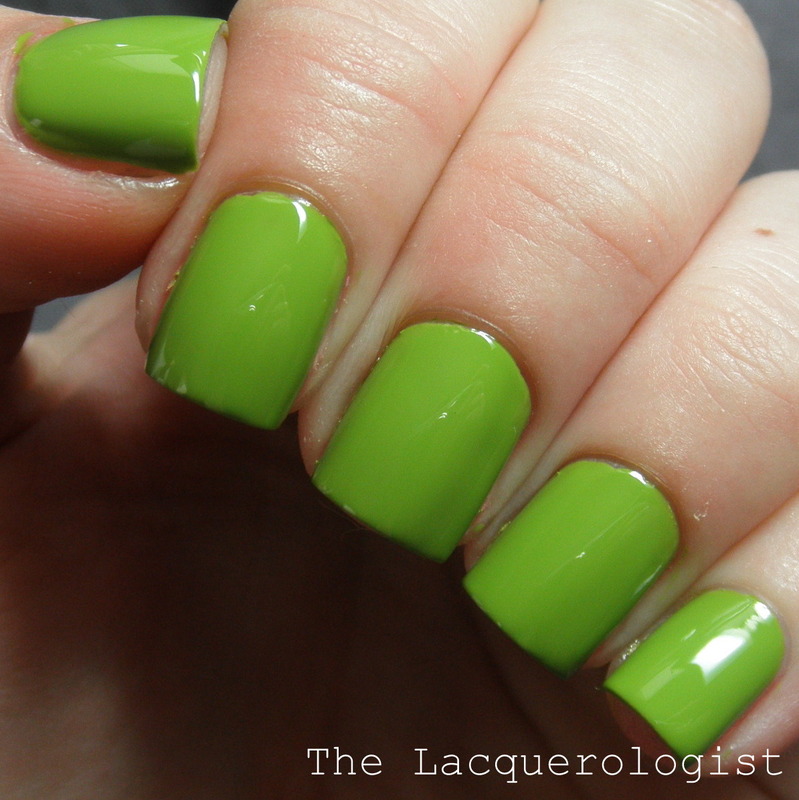 This is a bit more lime green than Zoya Josie, my go-to green creme. This is two easy coats. 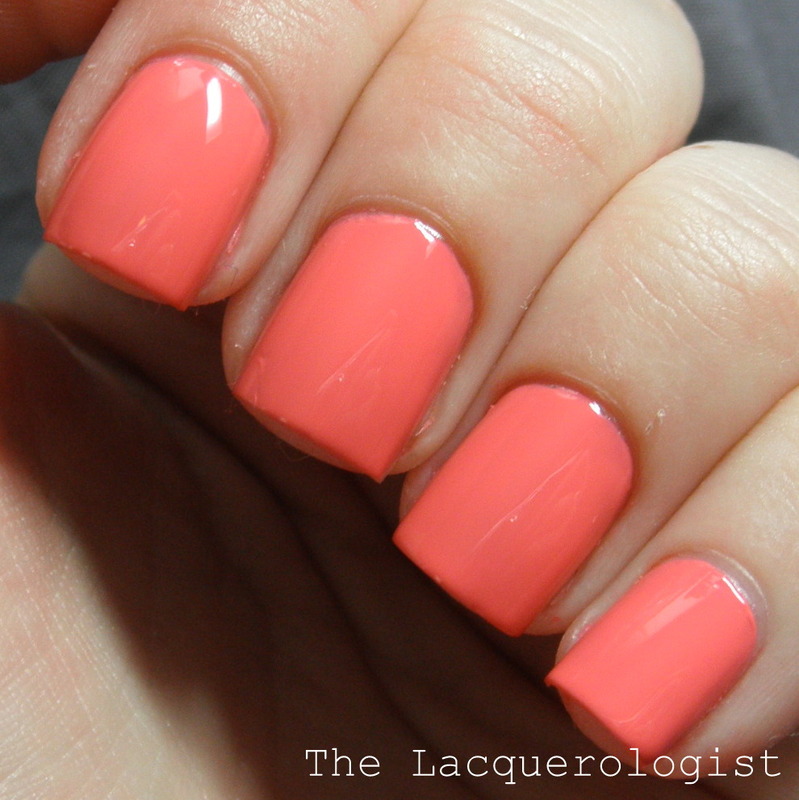 Zoya Wendy is a coral-pink creme. 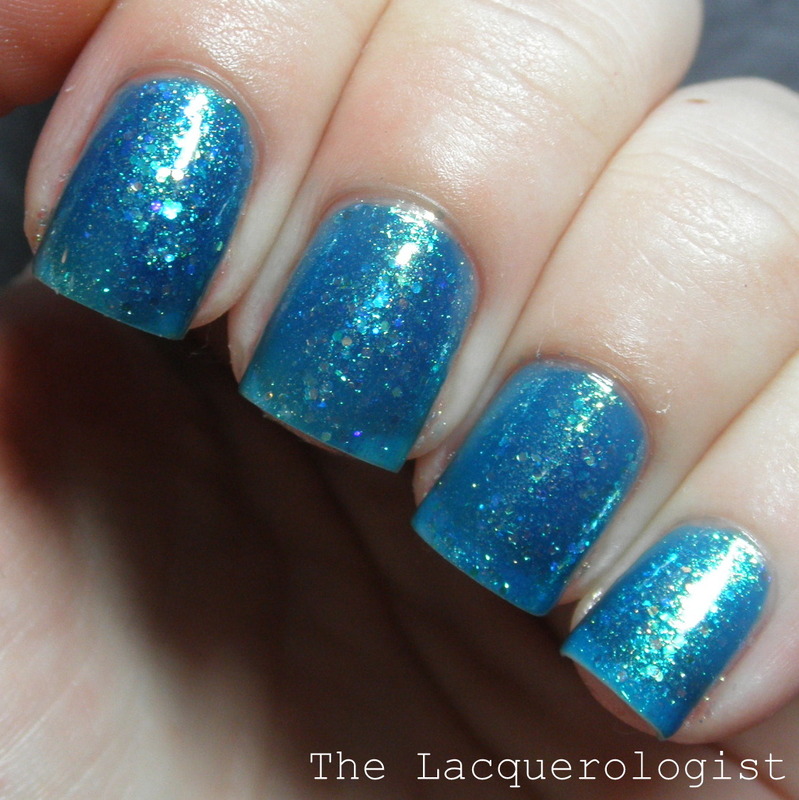 I had some issues with a streaky formula on this one, but still got away with two coats. The Zoya Bubbly Collection features six jelly-based polishes filled with golden shimmer and iridescent glitters. Zoya describes them as holographic, but I’m not sure I’d use that term. They build up nicely (visible nail line is never as noticeable in real life as it is under the bright lights and macro lens), and they go on really smoothly! These swatches were done with CND Stickey Base Coat and no top coat. 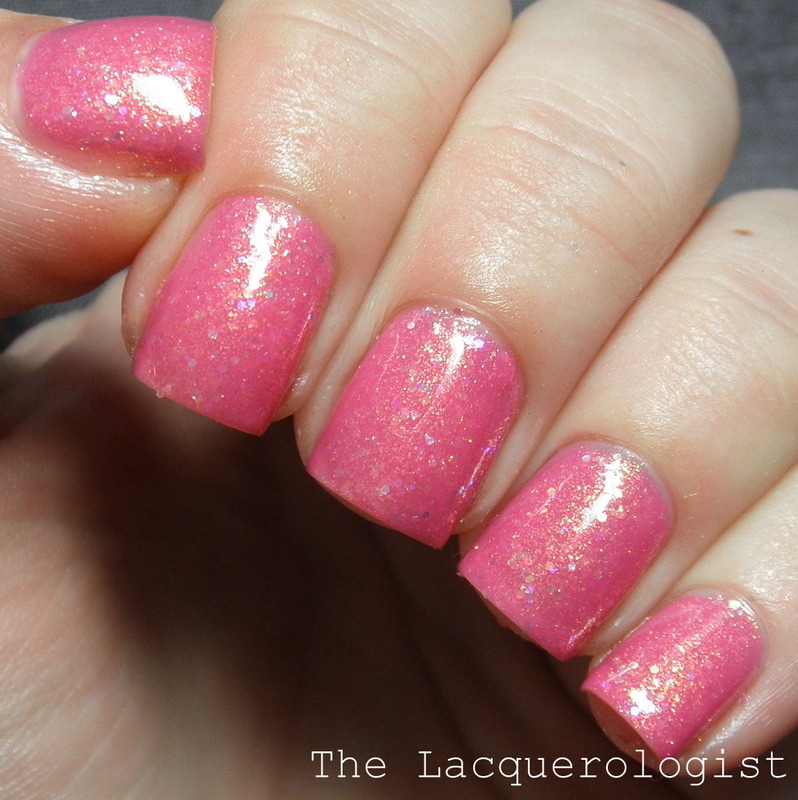 First up is Zoya Harper, a girly pink jelly with glitter. 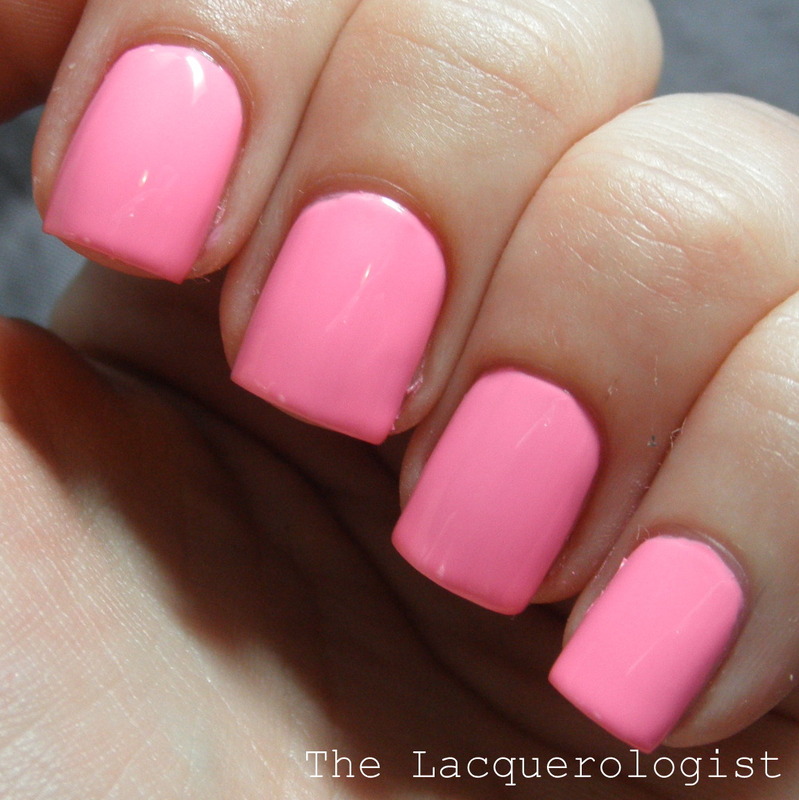 This is three coats to cover some visible nail line, but you could definitely get away with two coats. 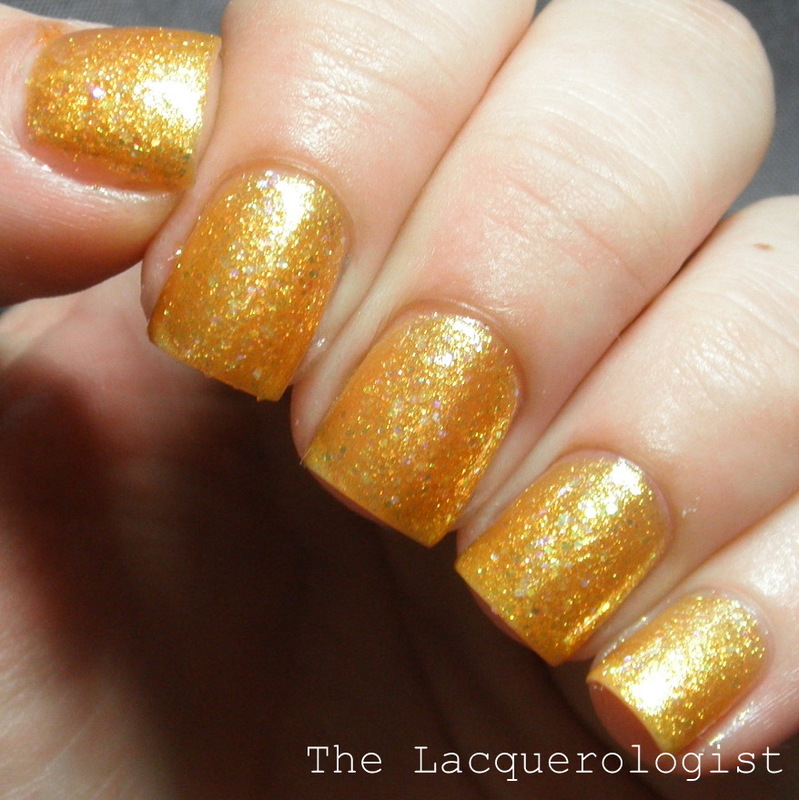 Zoya Alma is a yellow-orange jelly-based glitter polish. I was surprised how yellow it is…in the bottle it looks much more orange. This is three coats, and you could still see a bit of visible nail line. 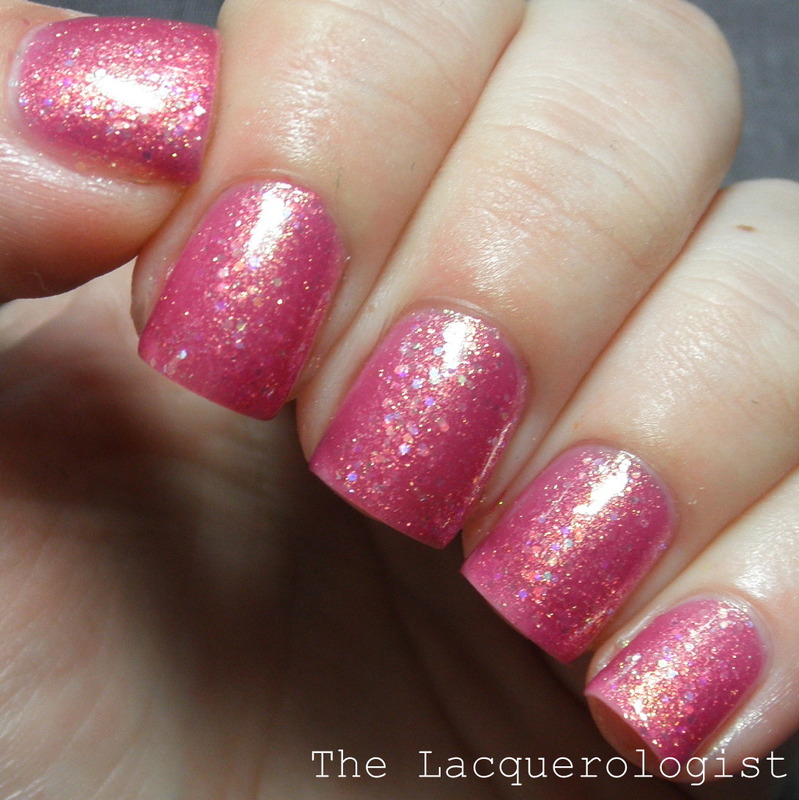 Zoya Binx is a pink jelly polish with glitter. It’s a few shades darker than Harper. I used three coats here, but you could definitely get away with two. 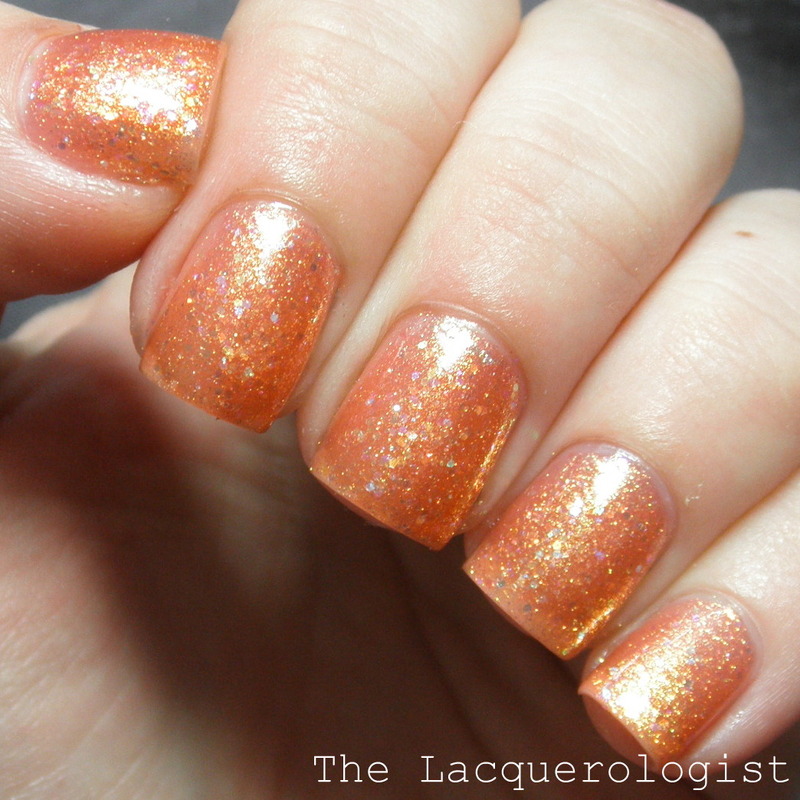 Zoya Jesy is an orange jelly-based polish with glitter. This is probably my least favorite. I used three coats and still had some visible nail line. 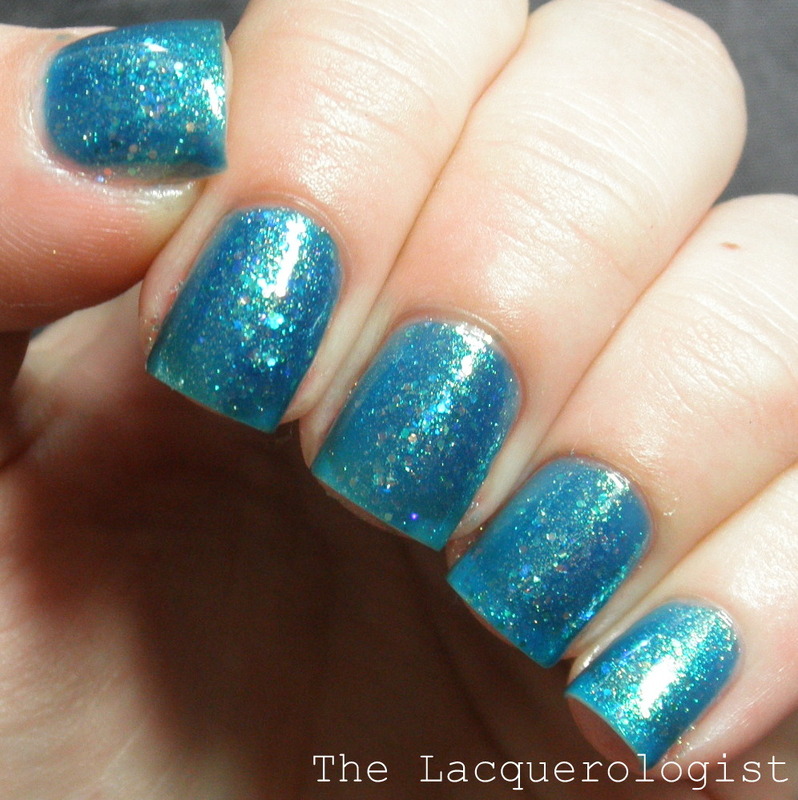 Zoya Muse is a blue jelly-based polish with a fierce teal-green shimmer shift and glitters. Very pretty and difficult to capture on camera! The visible nail line looks way worse here than it was in real life. This one needs to be seen in person! This is three coats. Finally, we have Zoya Stassi, the green of the collection. 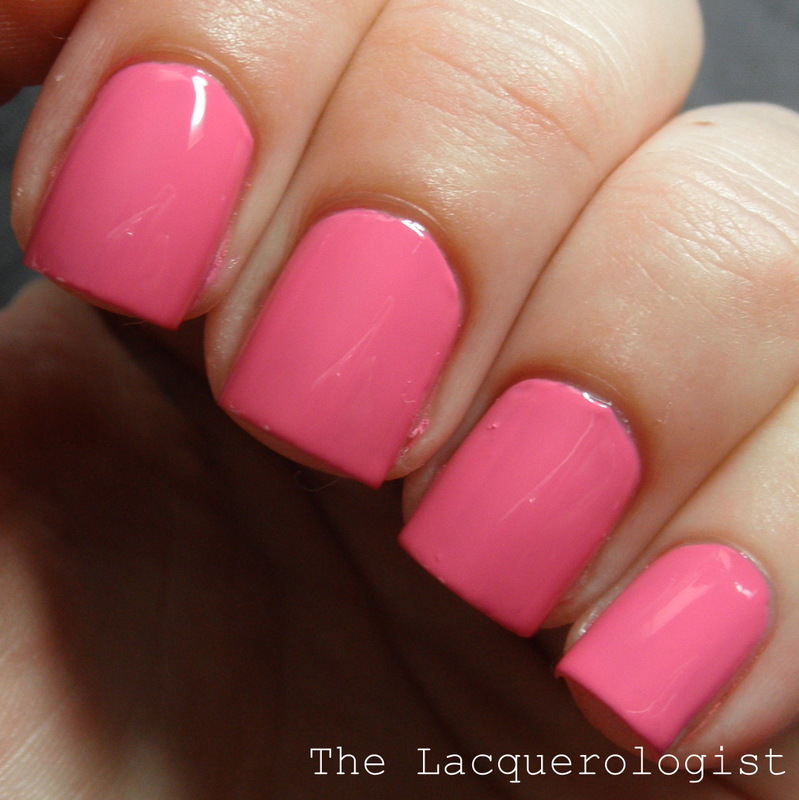 I was a bit disappointed with this one, as three coats was still a bit sheer, but still pretty. Overall, I was surprised by how much I liked some of the Bubbly Collection. 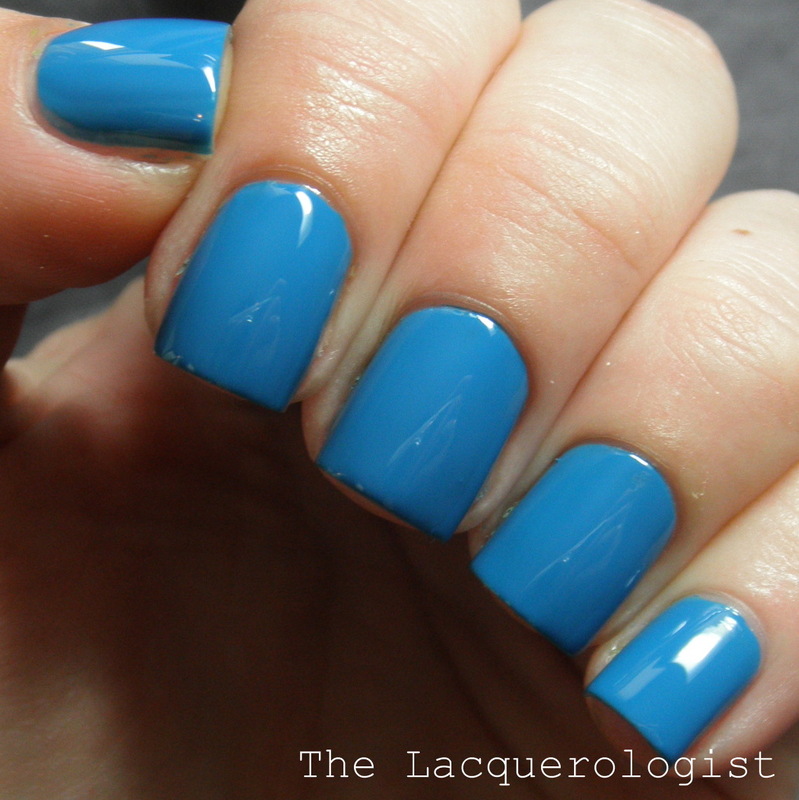 They are smooth and pretty, and unlike other jelly-based polishes, they build up quite nicely. 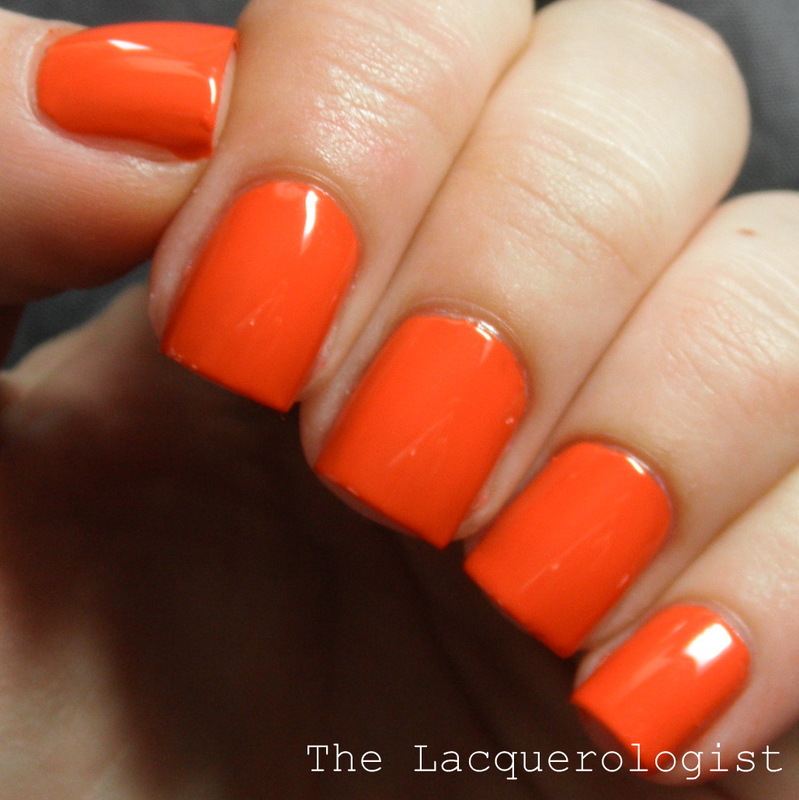 You could definitely layer them over the corresponding Tickled Collection colors for a more opaque look. 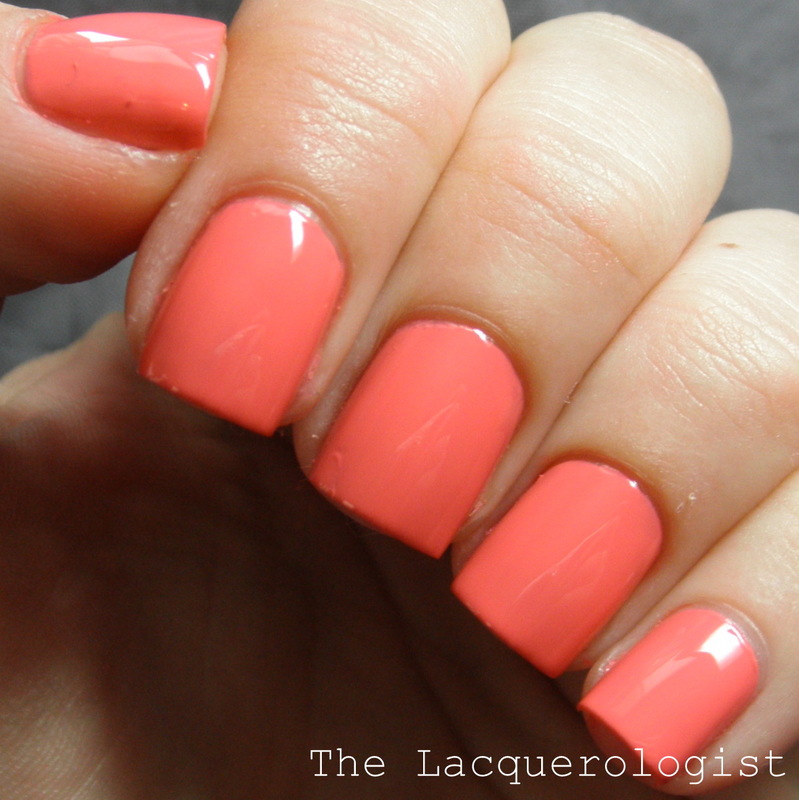 The Tickled cremes are pretty, and I’m looking forward to using them in nail art for summer! 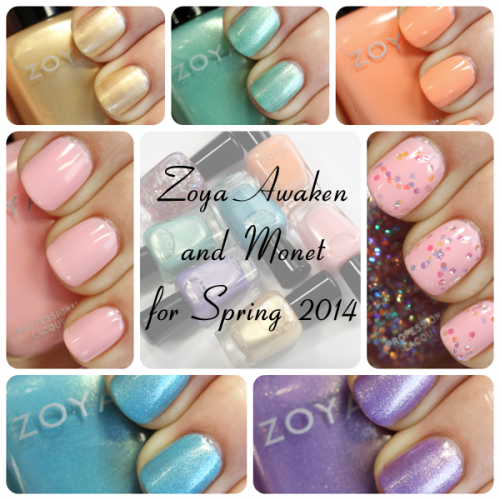 Just as hotly anticipated as the Zoya Magical PixieDusts, Zoya Awaken and new glitter topper Monet bring sparkling power pastels, dreamy creams and a glowing metallic to the spring color table. 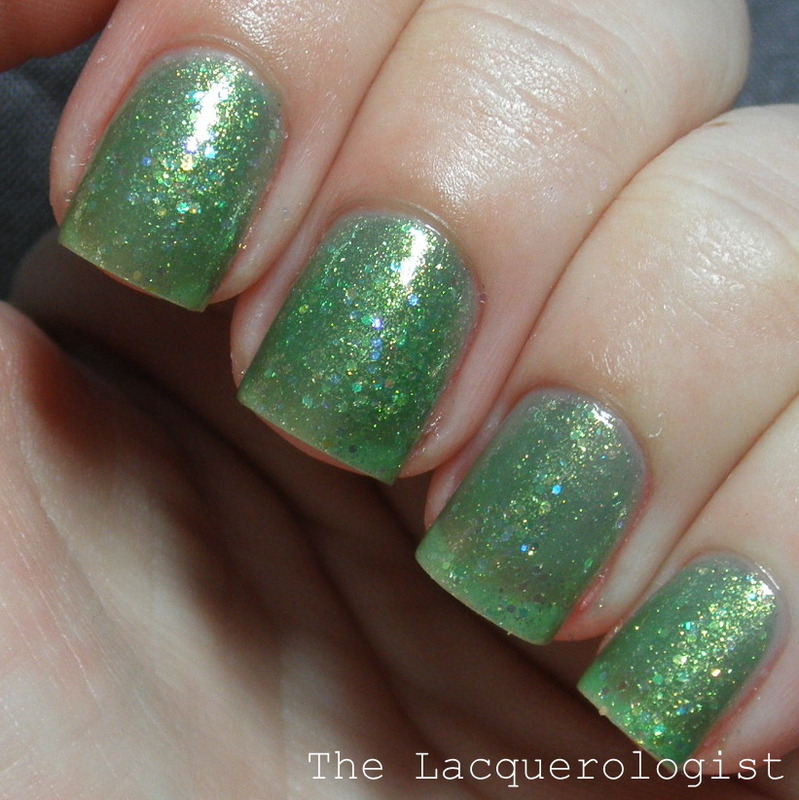 I’m all about Zoya’s sparkling, flecked finish so I couldn’t wait to play with these new Water Lilies-esque shades. Zoya nail polish is 5-Free (free of Formaldehyde, Toluene, DBP, Formaldehyde Resin & Camphor). Their signature Italian glass bottles have a tapered, shiny black plastic cap that rests comfortably between the thumb and index finger while polishing. The brush is short, round and medium in girth with flexible bristles that allow for ease of control. Because there is such a variance in finish and consistency among the different finishes, I will address application individually below. 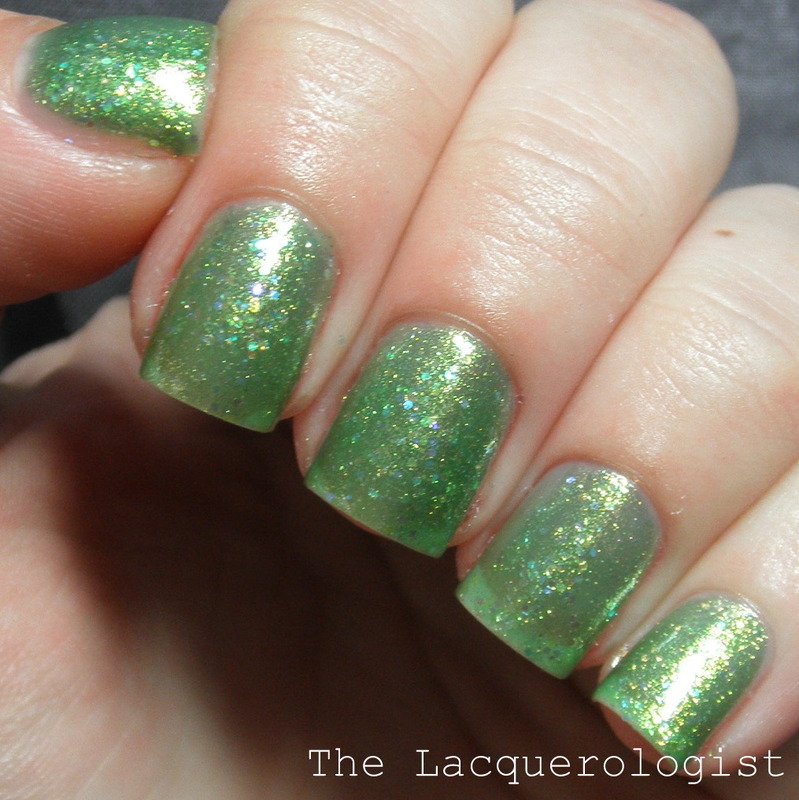 Zoya Dillon is a spearmint green metallic with silvery and golden shimmer. I know some people mentioned it reminding them of Zoya Zuza (a personal fave of mine) but this shade is much lighter and not nearly as turquoise. The finish is their only similarity. It applies smooth and even with decent pigmentation. I used three coats but you might get away with two. 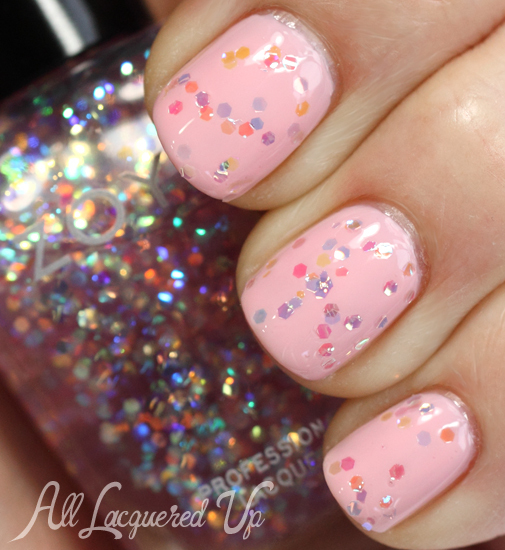 Zoya Dot is a mellow baby pink creme with cool undertones. It wasn’t nearly as patchy as Cole and with three thin coats, I achieved a nice, even coverage. 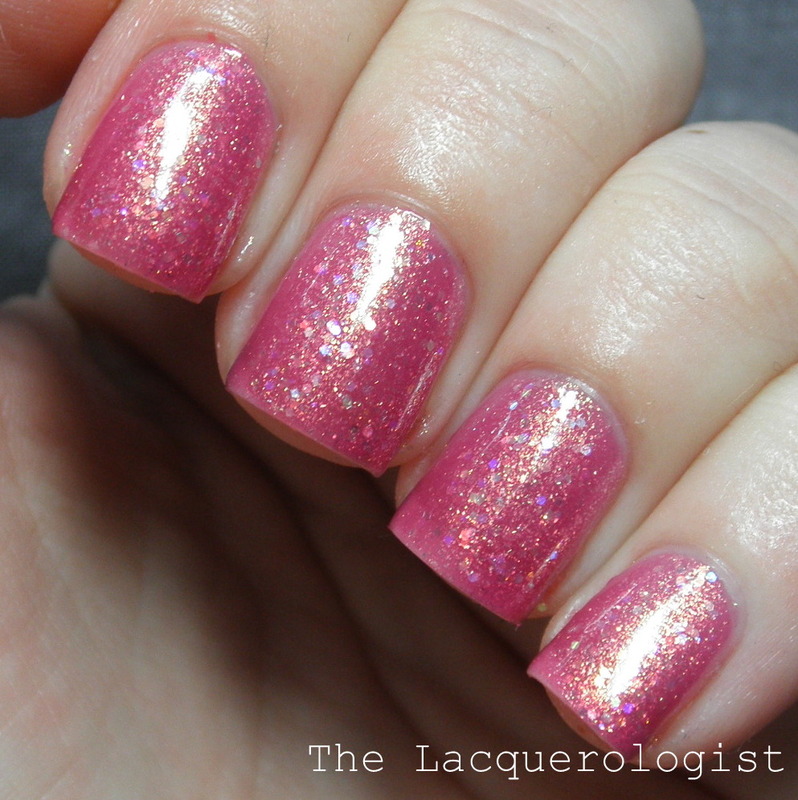 Zoya Hudson is a cool orchid metallic with what appears to be pink, silver and gold shimmers. 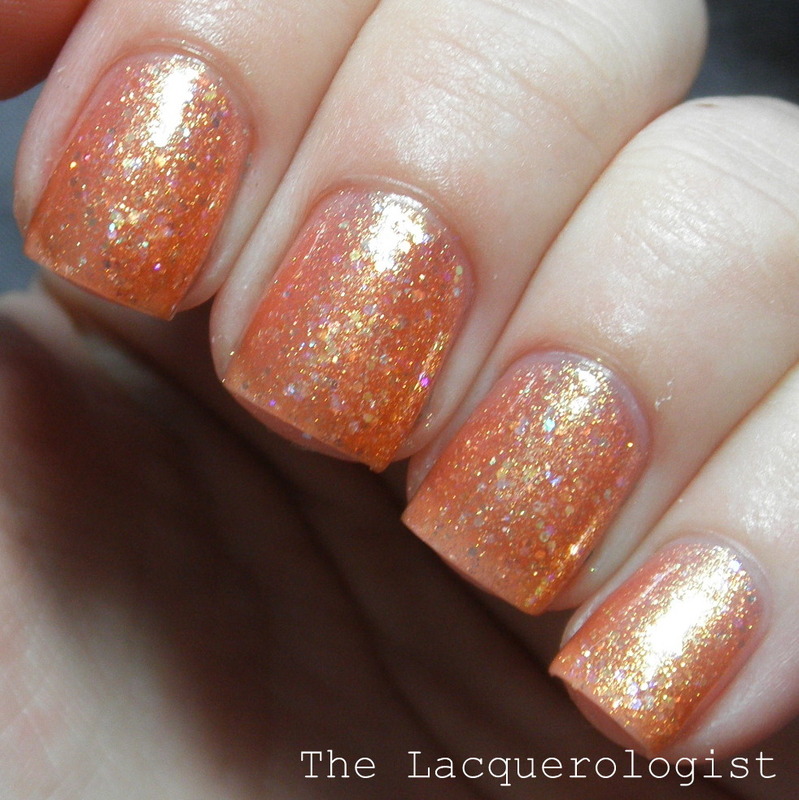 Think of this as the cool version of Zoya Stevie (minus the texture) as its nowhere near as warm but has the same saturation level. Like, Dillon, it delivers full, even coverage in three coats. Bottom Line: I’m completely smitten with the three sparkling metallics in this collection. Purple, blue and green. I mean, hello, it’s like they were MADE for me. I like to think of this finish as an elevated version of the subtle crystal sparkle I love in Essie polishes. So for me, all three are winners. The formula issues that plague Brooklyn, Cole and Dot earn them a pass and Monet is just too thick to achieve the desired effect.